You can’t trust anyone to fix your commercial range these days. It’s more important than ever to have a professional with many years of experience and industry knowledge to assess the damages that’s associated with your commercial range. Commercial ranges come in many different shapes and sizes with the rectangular form. Depending the make and model makes a major difference in the amount of work and repair that goes into an appliance service or repair. Commercial appliances are a little more complicated and sophisticated than the regular residential appliances on the market. Because of the sophistication that goes into appliance repairs, appliance services and maintenance, it requires more expertise to diagnose the damages. You wouldn’t trust someone claiming to be a professional to advice you on important matters even if that person doesn’t have real industry experience. Would you? Would you trust a company that looks and sounds good but has no history of results? There are a lot of factors that go into great marketing, but the best type of marketing is knowing what you’re doing and having your work speak for itself. Everyone (for the most part) would agree that great quality service sells itself and doesn’t require a huge advertising budget. You need a professional to professionally fix your commercial oven range. Commercial Range Repair Near Me? LA FixIt Appliance Repair Services has been locally based in the greater Los Angeles area to help serve and repair the entire residential and commercial properties. Specializing in commercial appliance requires a thorough training in major brands and components. It’s not enough to be familiar with appliance repair, a technician must be able to understand and fix the finer details of the little components that go into a commercial range appliance. The commercial range is not turning. You’re worried because you have a restaurant to manage and you need the commercial to do what it’s supposed to do. The kitchen crew is in a panic and not sure how to move forward when the key appliance isn’t working. The functions went haywire and it’s making a horrible noise. 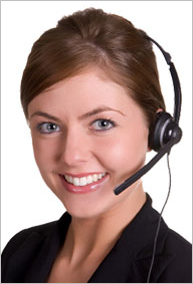 The best solution is to call an appliance repair Los Angeles professional to come out as soon as possible. Commercial appliance repair is a passion and a calling for the technicians at LA FixIt Appliance Repair Services. They dedicate many important hours learning and refining their skills on all things technical appliance repairs. When the team is not out in the field repairing important commercial appliances, they’re updating their technical skills about all the different and vital functions that every commercial appliance has to operate effectively. 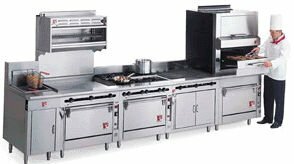 It’s important to maintain the efficiency and quality of your commercial kitchen. One missing appliance or malfunction can delay the efficiency and operations for the entire staff and set you back. Getting set back can result in loss of money, profits and can lead to a bad customer service experience. It’s our responsibility to be able to provide the best quality service and repair to our clients to earn their business. We take our reputation very seriously and we will do everything we can do accommodate our current clientele as well potential business. It’s our mission to have a professional relationship with everyone that uses us as their local appliance repair service. We do everything to maintain a clear estimate and repair so that there will be no misunderstanding. We have a talented appliance repair customer service line dedicated to helping and assisting all of our customers for any type of inquiries. If we don’t know it (highly unlikely) we’ll research and call you back within the hour. Competition can get intense; we understand all that. We are consistently on the leading edge maintaining our competitive advantage among the appliance repair services of the greater Los Angeles area. We developed tools, a training program, and an in-depth data base of information and resources to maintain our edge in the Los Angeles appliance repair landscape. We take our work very seriously because we know that you take your seriously. Delays and setbacks are for the inexperienced. Trust in experience for quality repairs at your service. World renowned commercial ranges require special attention and care. Many top brands such as Viking Appliance, Wolf, KitchenAid, Capital and Bertazzoni are specially designed with unique features. La FixIt Appliance Repair Services’ industry experience and expertise has lead the appliance repair team be one of the top producing go-to technicians for commercial appliances repair. It’s no wonder that LA FIxIT is on speed dial for many restaurants and businesses for quick same day repair service. We provide Same Day service for all major brands and commercial ranges. I called to inquire about my oven. Very helpful people.. A guy that helped me was Greg who gave me the estimation .. He was very helpful indeed. He had set to have a repair man come in the following day and they were on time at 2pm..